“There are hardly any two points on the planet that you cannot connect to via Dubai Airport,” said Paul Griffiths, Dubai Airports CEO, in reference to the airport’s ambitious slogan – ‘Where the world connects’. The new Terminal 3 was a $4 billion (€2.5bn) development, which took a mere four and a half years to complete. As Griffiths explains, the terminal boasts a unique complexity, which marks it as one of Dubai’s latest unprecedented infrastructural achievements. Michelle Meineke reports. Supported by an industry friendly State Government and its ideal geographic location, the city of Hyderabad is witnessing a phenomenal growth in air traffic, which is expected to increase further due to the city’s booming IT, biotech and pharmaceutical industries. 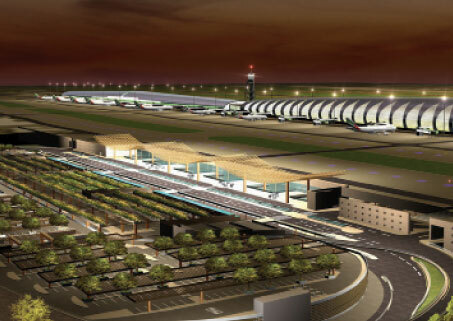 The recently completed New Hyderabad International Airport is the perfect engine to facilitate the region’s growth, both locally and internationally. Michelle Meineke reports. 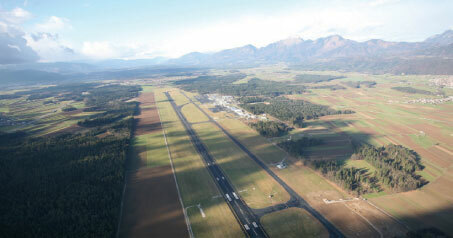 Slovenia’s accession to the EU in May 2004 has stimulated consistent growth at Ljubljana Airport. Throughput reached 1.5 million in 2007 and double-digit growth is expected this year. This success has necessitated significant infrastructure investment, with €135 million earmarked for projects to 2015. It is Ljubljana’s goal that by this time it will be the leading airport in the region, as CEO Zmago Skobir explained to Ross Falconer. 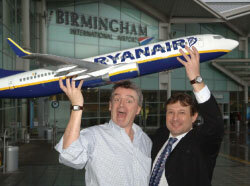 After choosing Birmingham International as its latest base, Ryanair has announced 20 new routes from the airport and forecasts it will be carrying five million passengers per year from Birmingham by 2013. Ross Falconer spoke with Peter Vella, business development director, Birmingham International Airport. Verona Airport System is hosting the 17th ACI EUROPE Airport Trading Conference & Exhibition. Its general manager Claudio Boccardo outlined his plans for Verona and Brescia airports to Michelle Meineke.